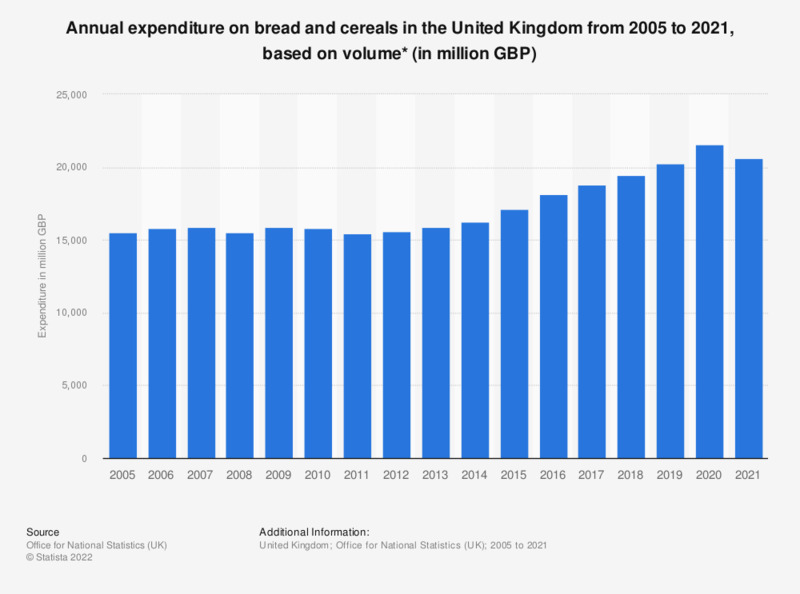 This statistic shows the total annual expenditure on bread and cereals purchases in the United Kingdom from 2005 to 2017, based on volume. In 2013, UK households purchased approximately 14.1 billion British pounds worth of bread and cereals, a slight increase on the previous year. Everything On "Bakery product industry in Europe " in One Document: Edited and Divided into Handy Chapters. Including Detailed References.